Can a RhoGAM Shot Prevent Further Pregnancy Loss? If you are Rh-negative, most doctors will advise that you get a RhoGAM shot after you've experienced a miscarriage, ectopic pregnancy, or other pregnancy loss. 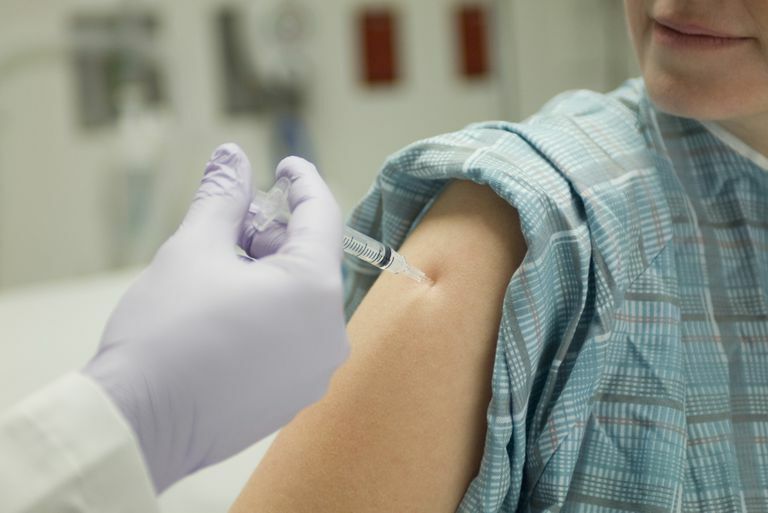 Getting a RhoGAM or other Rh immune globulin shot is a precaution against a situation called Rh incompatibility, which could affect future pregnancies and cause hemolytic disease in the newborn. How Soon After a Miscarriage Do I Need the RhoGAM Shot? If you are Rh negative, meaning that your blood does not contain the Rh factor protein, your doctor will probably recommend that you get an Rh immune globulin shot (such as RhoGAM) within 72 hours of the start of your bleeding. With the shot you have lower odds of developing antibodies (becoming sensitized) against Rh-positive blood from this pregnancy; if you have circulating antibodies against Rh factor, you can face problems in future pregnancies. If given later than 72 hours after the start of the miscarriage, the shot is not likely to make a difference. If it has been more than three days since your miscarriage, however, don't panic. The odds that you have become sensitized against Rh factor are low. Although there's no strong evidence that the shot is totally necessary after a first-trimester pregnancy loss, the shot is low-risk, so doctors recommend it after any pregnancy bleeding because of the theoretical risk of Rh sensitization. Still, it is a good idea to get it within the recommended time span if you can, as it makes the small risk of Rh sensitization even lower. There's much more evidence on the shot's necessity after a later pregnancy loss or after giving birth. If you are concerned, you can ask your doctor about a blood test to check for RH sensitization so that you can set your mind at ease. What Is Rh Factor and How Does It Impact Pregnancy? Rh factor is a protein that the majority of people carry in their blood. Roughly 85 percent of the population is Rh-positive, and Rh status is genetically determined. In women who are Rh-negative who have Rh-positive partners, the baby has at least a 50 percent chance of being Rh-positive (Rh-positive status is a dominant genetic trait). Women who are Rh-positive and women who are Rh-negative with Rh-negative partners do not need to worry about RhoGAM shots because Rh incompatibility is impossible. In first pregnancies, Rh sensitization is rarely a problem because the mother’s blood and the baby’s blood typically do not interact directly until delivery — but if Rh-positive blood (such as from the baby) enters the Rh-negative mother’s blood, her immune system may develop antibodies against Rh factor. If these antibodies then enter an Rh-positive baby’s bloodstream, the antibodies can begin to attack the baby’s blood, causing jaundice or more severe symptoms if left untreated. RhoGAM pre-stocks the woman’s blood with the antibodies to the Rh factor protein, and this prevents the woman’s immune system from needing to create antibodies to Rh factor in the event of encountering Rh-positive blood. Injecting the antibodies is safer than risking sensitization, because RhoGAM antibodies eventually clear the mother’s bloodstream, meaning that if the mother’s blood mixed with the baby’s in the future, her immune system would not have learned to create antibodies against Rh factor and the baby would not get anti-Rh antibodies. If a mother’s blood is sensitized to Rh factor, the sensitization may be permanent and she risks delivering anti-Rh antibodies to her future babies. As a part of the blood testing in standard prenatal care, most doctors check the woman’s blood type in order to identify women for whom Rh incompatibility is a concern. Originally, recommendations were to give the injections to women who had given birth. The recommendations then changed to include a RhoGAM shot around 28 weeks of pregnancy. Although few studies exist on using Rh immune globulin for first-trimester miscarriages, many doctors do recommend them because of a theoretical risk of sensitization after miscarriages with the idea that the potential benefits outweigh the minimal risk. The shot needs to be given within about 72 hours of the onset of the miscarriage in order to be effective. If you did not get a RhoGAM shot, do not panic — remember that the risk of sensitization after a miscarriage is relatively small. However, you should inform your doctor about your concern. Your doctor can order a blood test to check your Rh sensitization status. In the event that you did develop anti-Rh antibodies, treatments for Rh incompatibility do exist and your doctor will know to observe your future pregnancies closely for signs of problems so as to intervene early if needed. Weill Corner Pediatrics. "Blood Types in Pregnancy". 12 Feb 2003. Hannafin, Blaine, Frank Lovecchio, and Paul Blackburn. "Do Rh-negative women with first trimester spontaneous abortions need Rh immune globulin?" American Journal of Emergency Medicine. July 2006 487-89.
arly first-trimester abortion? A review." American Journal of Obstetrics and Gynecology 20 Sept. 2002 623-27. March of Dimes. "Rh Disease". Oct 2006.